Good Morning! I don’t have anything related to Halloween to share with you this morning, although the thought of marriage to some might be quite a fright! LOL! 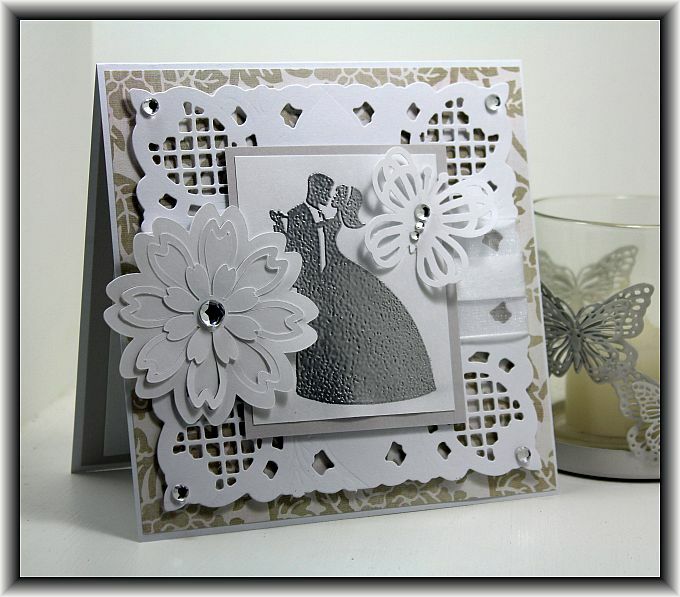 I have another pretty wedding card to share with you before I head off to work…. 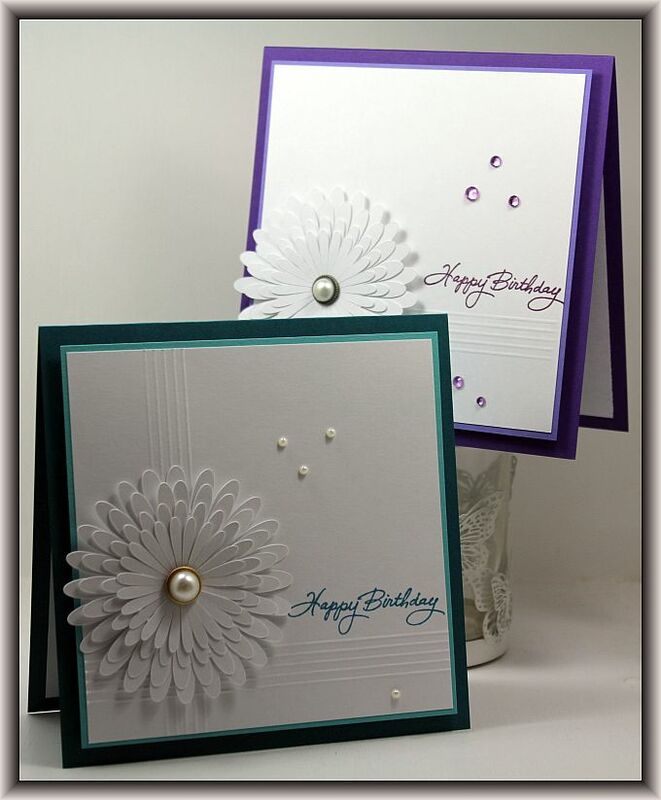 I used one of the lovely Anna Griffin embossing folders for this card. I ran it through my Bigshot twice, carefully matching up the pattern so I could do this 4 x 8.5″ card. I hope you all have a Spooktacular day! 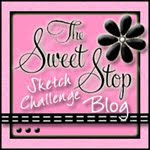 I have a quick post for you this morning as I am busy getting ready for work. This past weekend I started thinking about what I will be making for this year’s Christmas Cards and this is one of the cards I came up with…. 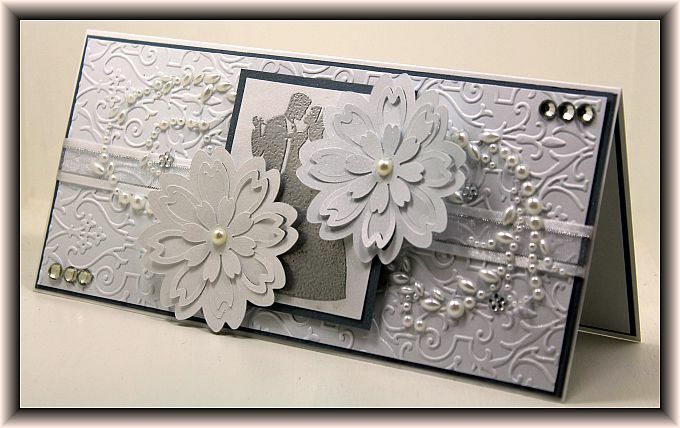 This is just a regular A2 size card which is low profile so it will be easy to pop into the mail. 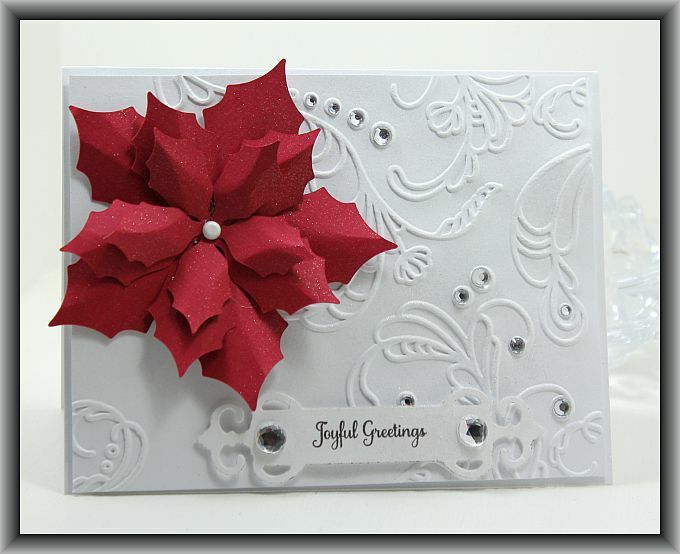 I made the poinsettia with my cameo and I am really happy about this because I don’t have a poinsettia die! I think this turned out pretty good for a girl who doesn’t like making Christmas cards! LOL! I make cakes often and take them into work for people for their birthday. Along with this banana nut loaf I made a cranberry orange cake for everyone to share. 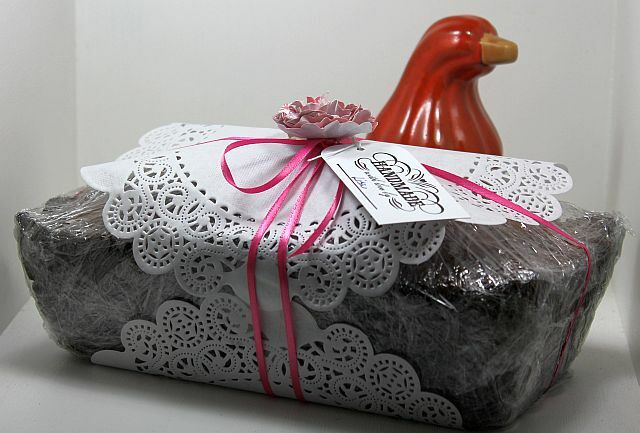 Cheryl can take home the loaf to share with her family. I hope that you all have a great week and Happy Monday! I was asked to make a wedding card for one of Vicki’s co-workers and I have been struggling with my mojo all week to come up with something. It’s just like me that at the very last minute I am able to throw something together. I am so random and work best when I have run out of time….. 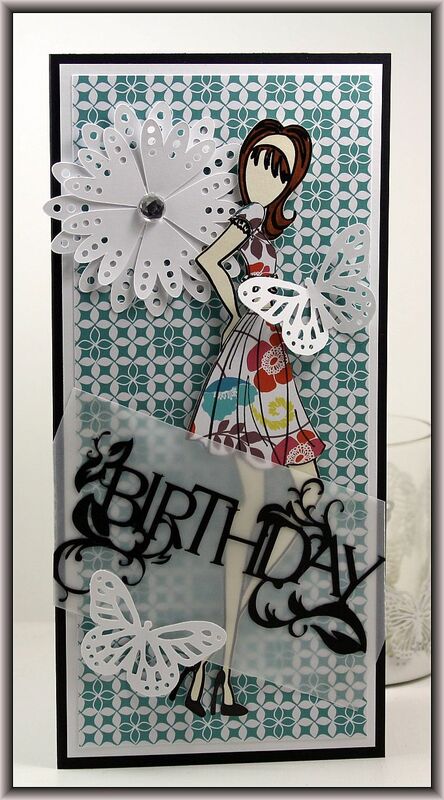 The corner die is by Marianne Design Creatables and I cut the flower using my Cameo. The butterfly is a new Martha Stewart punch that I snagged from The Cutting Garden, the last thing I needed was another butterfly punch but of course, I couldn’t resist. I hope you all have a fantastic day and thanks so much for stopping by! I love this stamp set made by Taylored Expressions! It works so well with my Tim Holtz Distress Inks. It is another work day for me so I am busy getting ready. I don’t have a lot to say today, I am kind of a bit off kilter LOL! Tony and I have decided to finally bite the bullet and quit smoking and today is day four of being smoke free! We are doing really well and I suspect this time it will finally stick. I hope you all are having a great week and thanks for stopping by! Good Morning! 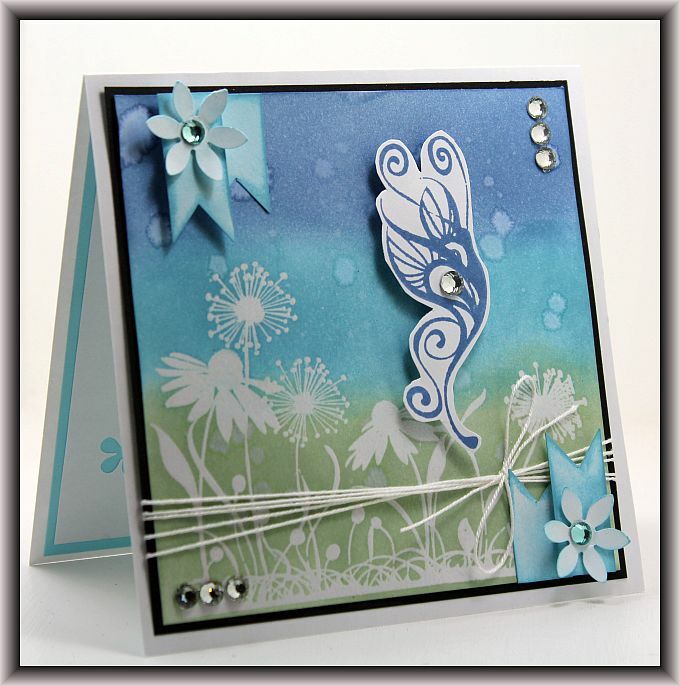 This is another card that I made last weekend while learning how to cut with my new Cameo. 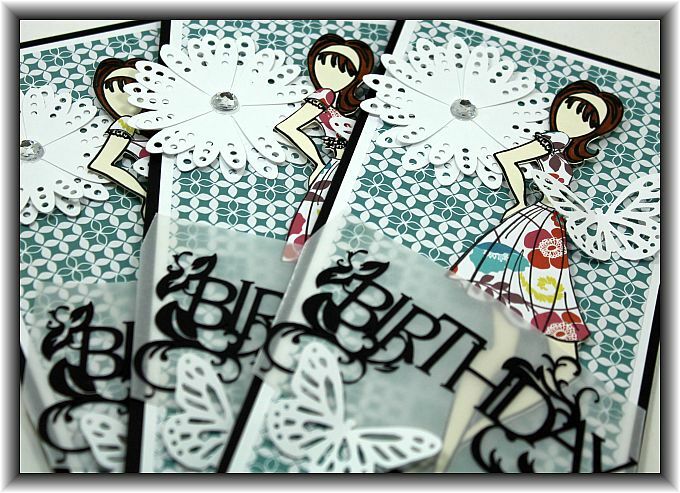 The flower, birthday sentiment and doll were all cut using my Cameo. I hope you all are having a good week! Thanks so much for stopping by! Good Morning! I wanted to pop on and do a quick post of a birthday card that I made for a girl at work. She is one of the most thoughtful and kind people I know…. I can’t really decide which color to give her, probably the greenish one but I like them both equally. I hope you all are having a good week and thanks for stopping by!